Home / slider / Our fun crew! 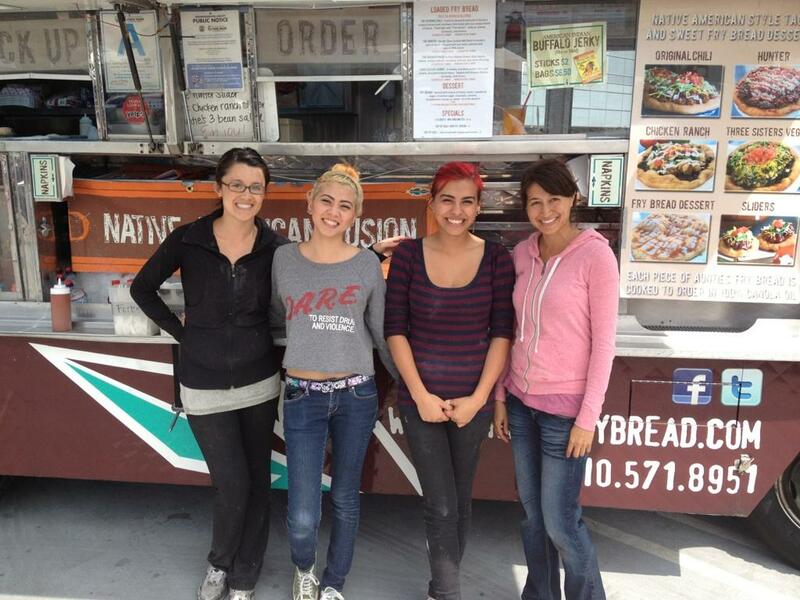 I just saw you guys at the Gateway to LA food trucks and I gotta say the girl with the reddish/pink hair is super nice and really cute! Let me know when you guys are back in town and Ill be there. Will she be there? Will you ever take your blessings to Oxnard? I’m willing to swap food as I work in an environment that sells Asian food. A native without frybread is cruel and unusual punishment.